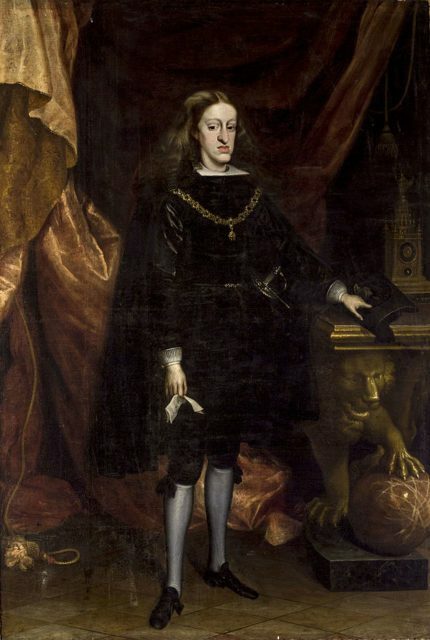 When Charles II of Spain died, the autopsy stated that his body "did not contain a single drop of blood" and "his head was full of water"
Habsburg Spain dissolved on November 1, 1700, following the death of its last, and probably the most infamous, ruler of all: Charles II of Spain. Although this king was granted the right to run a large and powerful kingdom, he is remembered as an infirm ruler, thanks to his many health disabilities and his poor intellect. Modern-day research has only confirmed what has already been assumed in the past, that both his mental and physical condition were largely due to the extensive history of inbreeding which his royal family practiced for decades, if not centuries, before his birth. The Hapsburg family was famous for cousins marrying one another. 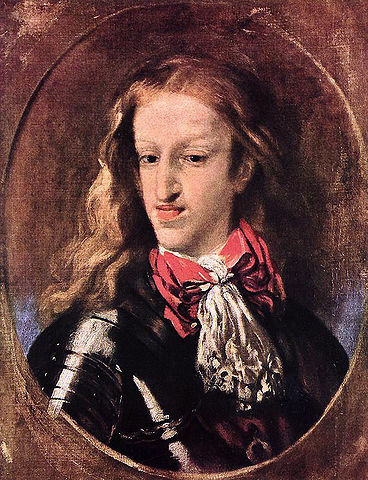 Charles II was not attractive, to say the least. He had a prominently elongated skull and obtrusive jaw, features said to be typical for a Hapsburg. As he also happened to live in times when superstition was flourishing, his numerous deformities–his feebleness supposedly owing to his congenital heart disease–were ascribed to powers of evil. People said he was bewitched, which is how he earned the nickname “El Hechizado,” or in English “the Hexed.” There was more than one attempt to “heal” him by various methods. The misfortunate-in-health-royal was born to King Philip IV and his second wife, Mariana of Austria. When Charles inherited the throne in September 1665, he was only four years old. He was the only legitimate heir, but because he was so young his mother took the role of regent. Due to his condition, he supposedly barely learned to read or write, and he never managed to obtain an education proper for a royal. He was spared from the court and did not have a lot of knowledge in the affairs of governance. Within the research, it was also found out that Charles II, along with his grandfather Philip III, counted as the two family representatives who had the “highest inbreeding coefficients,” the Telegraph reported. Calculations further revealed that approximately half of the new-born babies within this dynasty, within the examined period, did not survive to see even their first birthday, many because because of the health defects from inbreeding. Charles II managed to reach 38 years but did not wait to see his 39th birthday, passing away only five days before that. By that instance, he had already suffered a life filled with illness. He was childless and without an heir, pre-deceased by many possible successors. It was the 16-year-old Philip, Duke of Anjou, grand-nephew of Charles II (at the same time grandson of the reigning French King Louis XIV), who was designated as heir to the deceased Spanish king. This was because Charles II’s half-sister, Maria Theresa of Spain, happened to be the first wife of the famous French ruler (almost sounds like a scenario of a Spanish telenovela). Europe was headed into a crisis at the hour of the Spanish king’s death, one which resulted in the War of the Spanish Succession, a conflict that lasted until 1714. But if there is one more intriguing aspect related to the Charles II’s death that was not the culminating political crisis, it was the strangeness of his final days and the condition of his dead body. According to one source, shortly before his death, Charles had moments in which he insisted on unearthing the corpses of his dead relatives, so he could see them. What may be more shocking is how an autopsy allegedly describes the deceased body of the king himself. 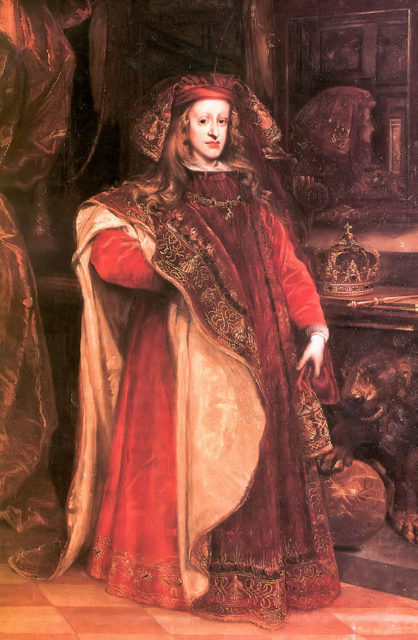 Whether the autopsy findings are authentic doesn’t question the fact that Charles II made for a grotesque symbol of the Kingdom of Spain that was already in decline. 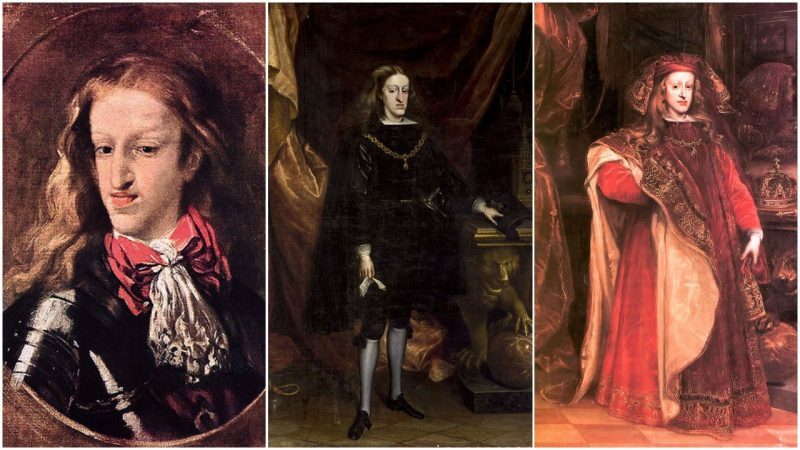 Under Charles II, the situation of the Spanish Hapsburgs only worsened as their powers waned at a rapid pace, but in essence, it was the history of inbreeding that led to the ultimate end. If nothing else, it is a lesson that if a civilization wants to sustain a status of greatness, it should always produce leaders who can demonstrate greatness too.